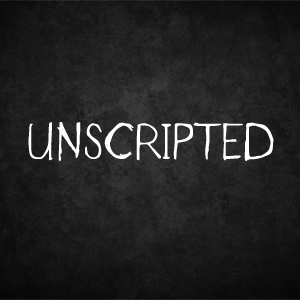 Going unscripted can be intimidating to a lot of people. Generally speaking, most people operate better within a confined framework. In fact, even though many people say they don’t, most people prefer routine and predictability. This is evidenced by their actions. Don’t get me wrong, routines are overwhelmingly good, but unshaken routines often become stale tradition and an excuse to do things a certain way because, “that’s how it’s always been done”. Let me be clear, I’m not advocating laziness or a fly by the seat of your pants mentality. Rather, I am talking about a willingness to not only try new things, but a sensitivity to the Spirit of God. We had one of those unscripted moments last night in our youth service. I really felt like God was wanting us to head to the altar before the message. I don’t do this often, but I could feel a heaviness among many of our students. For our group specifically, I addressed unresolved pain and hurt that was leading to feelings of bitterness, anger and insecurity. I took a moment to explain to them what God was saying and what He wanted to do for and in them. At that point, I made an invitation to come, and more than half did. It was an extended time of prayer in the middle of service. It meant that I had to tweak my message so that we wouldn’t be there all night. It broke our traditional flow (which I just wrote about! ), but it was worth it. Many were crying as they released their pain, while others simply started the process of moving forward. It was awesome and beautiful and I count myself blessed to have been able to stand with several of them as we believed together for a breakthrough. I tell this story to simply encourage you to go unscripted from time to time (not all the time!). Be sensitive to the Holy Spirit’s leading and give an opportunity for God’s will to be accomplished above yours. It’s pointless for me to say I always get this right, because I don’t. However, when I do, God always works out so much more than I ever could. So give God a chance, and I promise you’ll never leave disappointed!